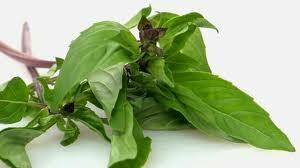 Everyone is familiar with sweet basil from their favorite Italian dish. Most of you are probably also familiar with Thai basil, which lends its spicy and sweet taste to curry’s and soups of the Orient. What most do not realize is that basil, in all its varieties, have potent antioxidant, antiviral and antimicrobial properties. The oil of basil is being studied for its potential use in treating cancer patients. This is due to the unique array of flavonoids that provide protection at the cellular level. The 2 flavonoids of particular interest are Orientin and Viceninarewhich, in recent tests on human white blood cells, have shown to protect chromosomes and cell structure through radiation treatments. 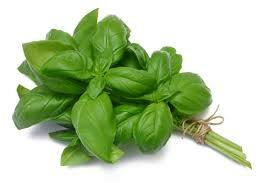 Another component of Basil is Eugenol a volatile oil that can block the activity of the enzyme cyclooxygenase (COX). This is the same action provided by ibuprofen, aspirin and acetaminophen! Thus basil qualifies as an “anti-inflammatory” that can offer non-pharmaceutical relief for people with inflammatory health problems; including rheumatoid arthritis and inflammatory bowel conditions. No wonder Basil has been used for centuries in India! 5000 years ago Ayurvedic Doctors would use a type of Basil that originated in India, they called it “Tulsi”, to treat symptoms of stress, asthma, colds, coughs and flu. This remedy is still used today by Ayurvedic Doctors all over the world! Research shows that Holy Basil or “Tulsi” has higher concentrations of the key flavonoids and oils than Sweet or Thai Basil. With these higher concentrations Holy Basil is useful for cleansing the respiratory tract of toxins and when ingested with meals can relieve digestive gas and bloating. Recent research shows that a vegetable and/or fruit wash made with a 1% concentration of Basil oil killed more parasites, bacteria, and viruses than other fruit washes. 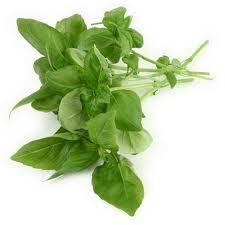 Researches are still looking into the many benefits that Basil has to offer. With all that is has to offer, why not keep some fresh Basil handy to toss into your next meal!